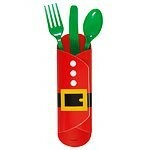 The kids will love finding their cutlery all wrapped up in this bright red Santa suit! 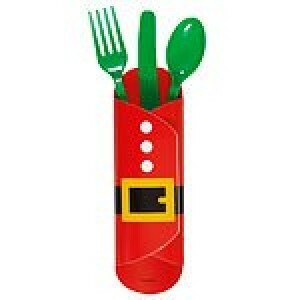 These cutlery wrappers make an adorable addition to your Christmas dinner table. Please note that cutlery is not included.